Illinois' two-year budget impasse is over. The Illinois House Thursday afternoon overrode Governor Bruce Rauner's veto ... giving final approval to a spending plan and tax increase. From the Statehouse, Brian Mackey reports. House Speaker Mike Madigan says this was a bi-partisan effort. 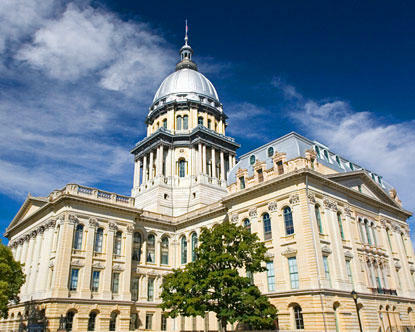 Critics argue lawmakers are failing Illinoisans by not passing significant reforms. Madigan says the discussion of Governor Rauner's reform agenda will continue. Rauner vetoed the measures because he sees no indication that the Democratic-controlled Legislature will send him the ``structural'' changes he has demanded.